God had a special plan for the prophet named John the Baptist. He would help prepare Israel for the Messiah's coming by encouraging people to live holy lives. He also would identify Jesus as the Messiah. 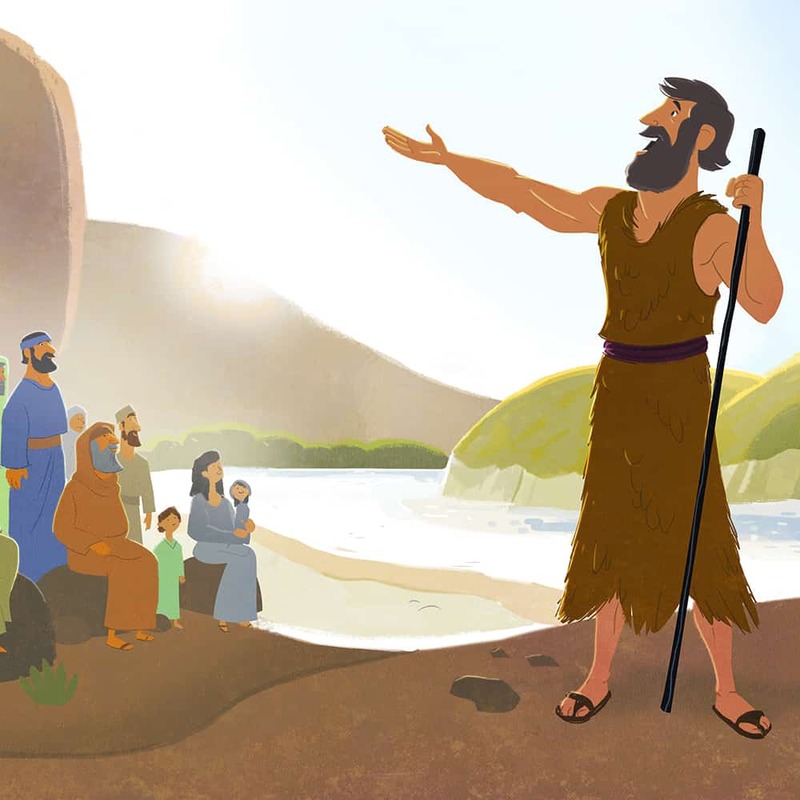 These activities will help children learn about this prophet and how he introduced Jesus. Unscramble 12 words, then unscramble thirteen more letters to form a key phrase. 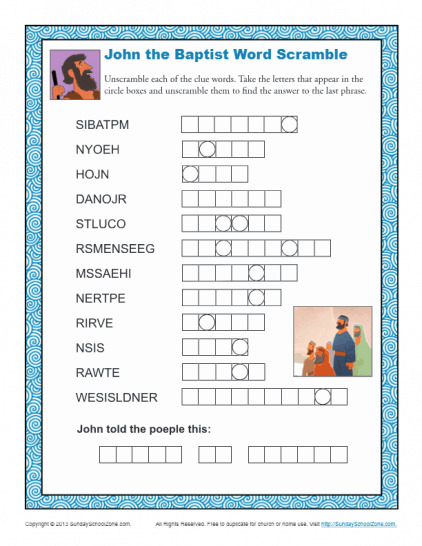 Every item in this exercise highlights John the Baptist’s ministry. Get ready to learn—and have fun at the same time! 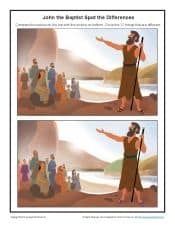 “What is John the Baptist saying to the crowd of people in this picture?” This is just one question you might ask your children as they try to find all the differences between these two pictures. Your kids have sharp eyes, don’t they? Let them show you by giving them this activity!